I hate doing laundry so much that I usually drop it off somewhere and make a wash-and-fold joint do it. All that waiting and sitting at home. Grooooan. 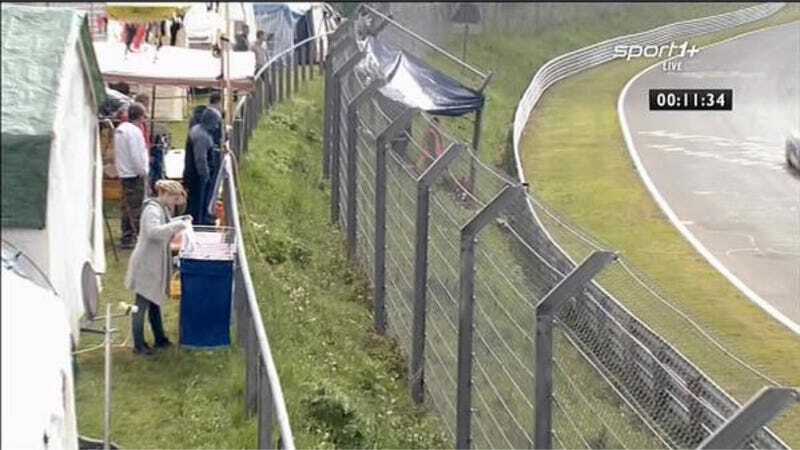 One spectator at the Nürburgring figured out how to make laundry tolerable, though: she set up right outside one of the turns at the 24 Hours race. Sure, it isn’t exactly a state-of-the-art setup by any means, but let’s be honest, the fanciest machines just do a better job of turning your socks into mincemeat. This is how I could be convinced to do laundry, folks: by giving the laundry a decent view of the Nürburgring 24 Hours!